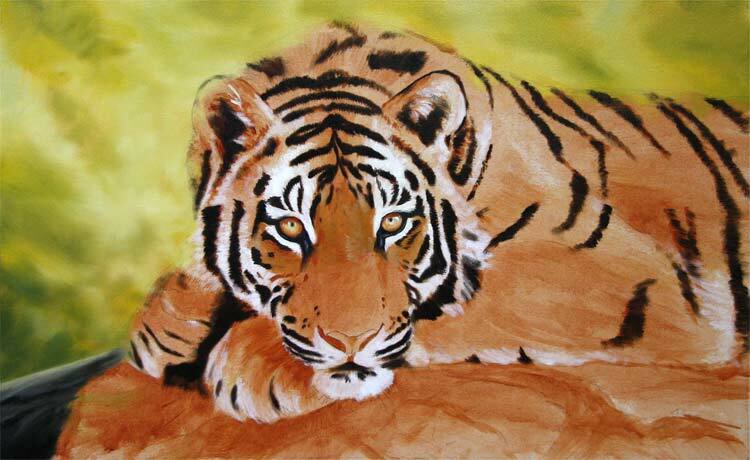 Now my Wild dog painting is completed it’s time to get back to my Tiger painting. Here you can see that I have blocked in a very simple blurred background, this should make the tiger really pop and give him a 3D appearance. another great work Jason, I’m looking forward to seeing how it develops. It’s a great pose and intense look.